Show your love for your cat! 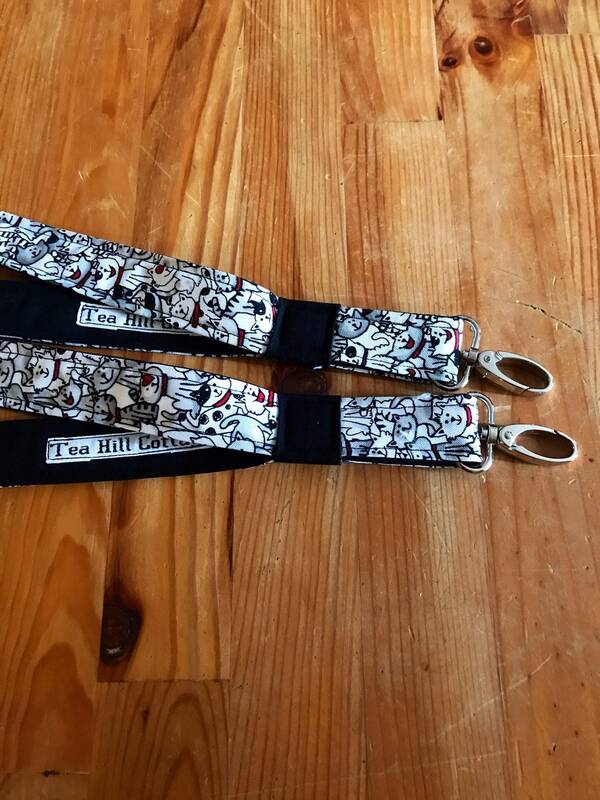 This lanyard is for all the cat lovers out there😊. I used a cute black and white cat print fabric. It has pops of red for fun. I used a solid black for the lining and trim. The lining does show when you are wearing the lanyard. These lanyards would make teacher gifts! They measure approximately 21 1/2" long including the metal clasp. They are made out of machine washable cotton fabrics. Please put it into a lingerie bag before washing and then let it air dry. You may need to press it with a warm iron after laundering. I wear one of my lanyards to school everyday. They are very comfortable. 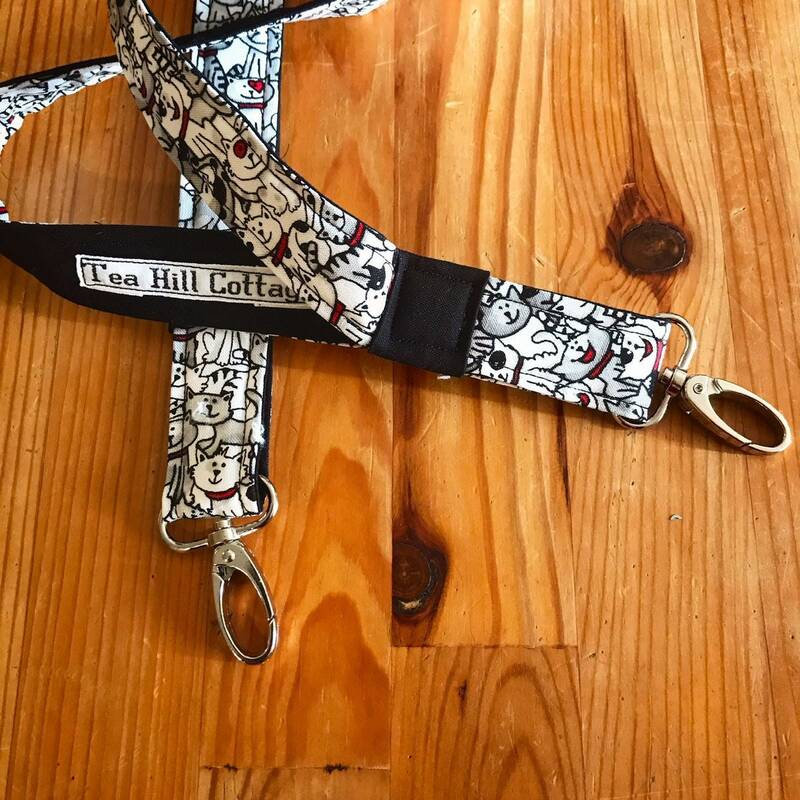 Enjoy one for yourself, or get one as a gift for a favorite All feature my Tea Hill Cottage label. The metal swivel clasp is sturdy and will hold your ID. 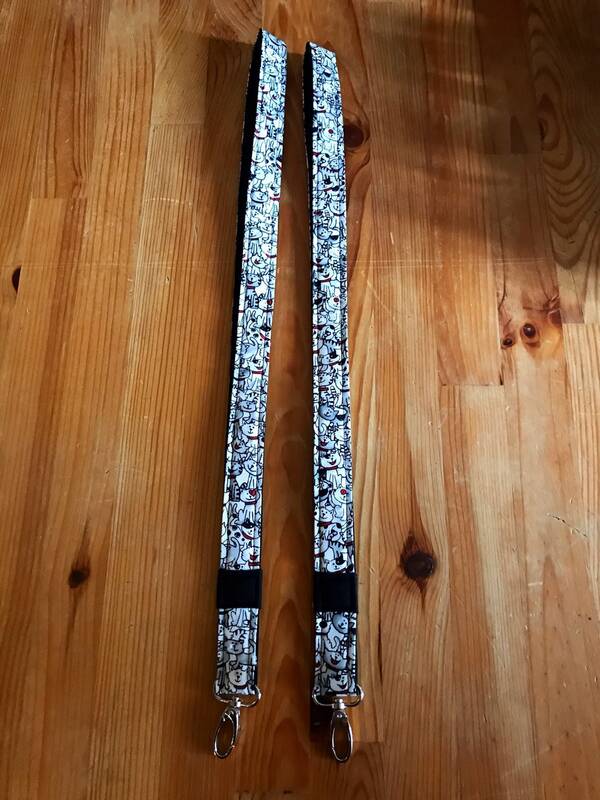 You have the option of adding breakaway hardware to the back of the lanyard. This would be at the back of your neck. I tried it out on myself, and it works very well! 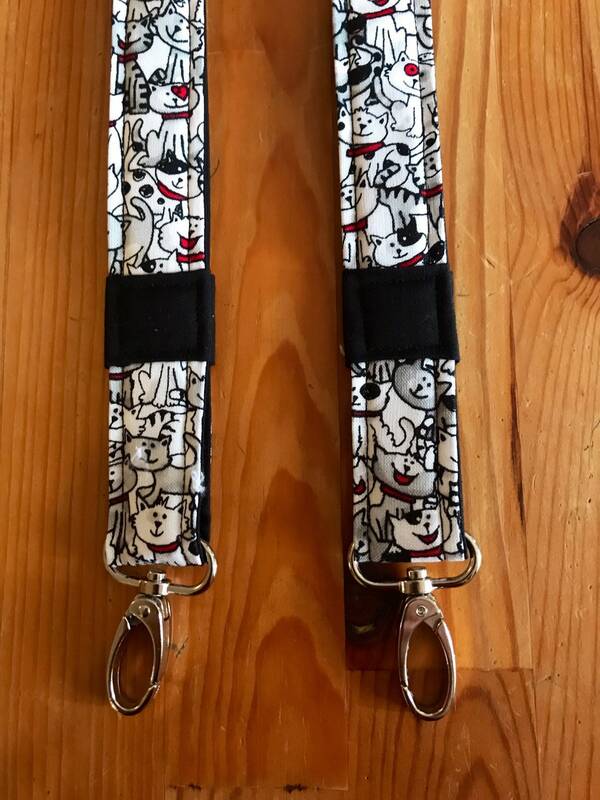 I made the lanyards in my smoke free, pet friendly home.